J.R.R. Tolkien’s The Hobbit is a story that I never seem to tire of re-reading. 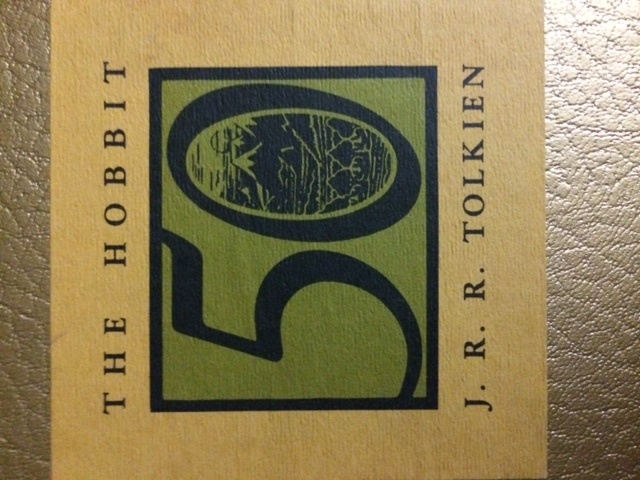 Written as a children’s story (300 pages) in 1937, with it’s dragon, dwarves, elves, magic, and—of course—it’s hobbit, the novel stands the test of time today, and I suspect will engage future generations of readers well beyond the 22nd century. It is not the Peter Jackson’s polarizing interpretation, which will conclude with the final installment of The Hobbit on December 17, 2014. As enjoyable is I thought the series thus far, the tone is certainly different. The high octane and visually stunning movies are no G-Rated experience. 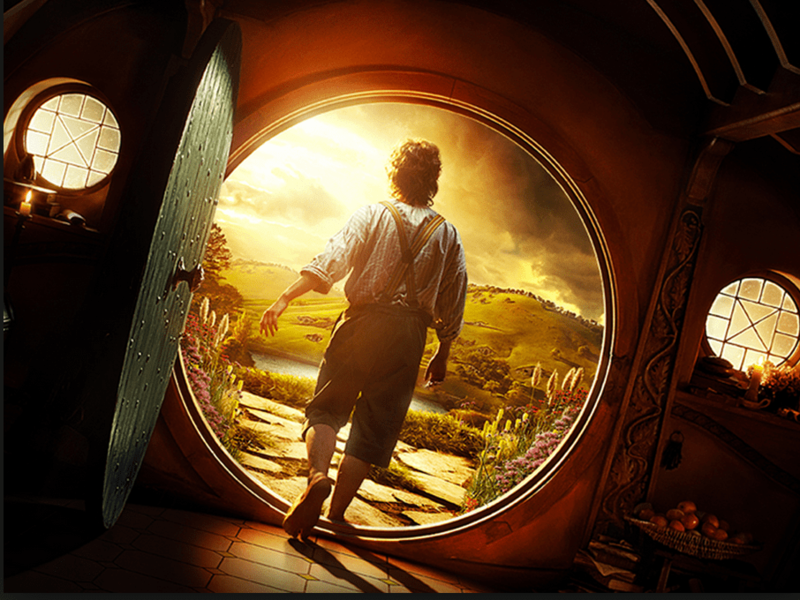 The Hobbit is light compared to the Lord of the Rings trilogy (LOTR). But this is for good reason as LOTR is a grim story of sacrifice and fortitude to save the world from eternal darkness. Engaging story in it’s own right, LOTR is filled with history and lore, complex characters fighting for their souls and free will—Boromir, Frodo, and Gollum—just to name a few. Whereas the Hobbit is meant to draw children of all ages—from youth to adult. The experiences are both risky and dangerous, yet reassuring as Tolkien acts as a guide along the way. History and lore is the backdrop of the Hobbit, but it’s not on full display as with LOTR. There is some storytelling about the Misty Mountains in Bilbo’s Hobbit hole, and songs are sung by Dwarves and Elves that reflect their respective cultures. Tolkien deliberately excludes the role of lecturer, keeping the story simple with rich world development that hints at the hidden treasure just beneath the surface. At different points in the story, Tolkien breaks from 3rd person point of view of the characters to himself talking to the reader. At these times, he shares short details that the characters could not know. His intent seems to give the reader a broader context of the world, or a heightened sense of the desperate situations the 14 adventurers were in because they lack the knowledge that Tolkien, the author, shared with the reader. Tolkien keeps the story light by taking grim events and inserting humor that keeps off the edginess that comes with monsters and life & death situations. In chapter two, Roast Mutton, the 14 adventurers encounter 3 trolls. These brutes are dangerous, with more hunger than brains, capture the dwarves and Bilbo, and immediately make dinner preparations. The trolls bicker like siblings, and are sucked into a conversation with a hidden Gandalf (unlike the movie part 2, where it’s Bilbo) about how best to cook dwarves for the best flavor. In “Riddles in the Dark” (Chapter 5), Gollumn—the tragic loner, sociopath—talks to his bad self about how best to cook Bilbo during a riddle contest. Bilbo wins with a questionable riddle, which Gollum should have appealed if only there were decent instant replay. In Chapter 9, “Barrels out of Bond”, the dwarves are locked in the dungeon of the Wood-Elves, where they can expect to live out their remaining years because their leader is too stubborn to compromise with the elven king. Fortunately, Hobbit with magical ring that turns the wearer invisible + elves partying late into the night with wine = dwarves escape in the empty wine casks. Irony? If some eccentric old dude that you’ve heard was good at producing fireworks events propositioned you to drop everything and go on a trip with no guarantee of returning alive, would you answer differently? How do 13 dwarves + 1 hobbit expect to defeat a dragon where two kingdoms failed? Well, it is a children’s story. Tolkien keeps it light through humor that leads us to believe, “Well, they’ll think of something—providing they survive Orcs (think muscle-bound human with a pig’s head) on wargs (gigantic wolves), giant spiders, 3 armies, and… oh… a fire-breathing dragon who eats kingdoms after a good nap. [i] Tolkien, J.R.R. (2012-11-08). The Hobbit (Kindle Locations 1994-1997). Houghton Mifflin Harcourt. Kindle Edition. [ii] Tolkien, J.R.R. (2012-11-08). The Hobbit (Kindle Locations 1069-1070). Houghton Mifflin Harcourt. Kindle Edition. [iii] Tolkien, J.R.R. (2012-11-08). The Hobbit (Kindle Locations 2386-2388). Houghton Mifflin Harcourt. Kindle Edition. [iv] Tolkien, J.R.R. (2012-11-08). The Hobbit (Kindle Locations 597-598). Houghton Mifflin Harcourt. Kindle Edition. [v] Tolkien, J.R.R. (2012-11-08). The Hobbit (Kindle Locations 1165-1169). Houghton Mifflin Harcourt. Kindle Edition. [vi] Tolkien, J.R.R. (2012-11-08). The Hobbit (Kindle Locations 2572-2574). Houghton Mifflin Harcourt. Kindle Edition. [vii] Tolkien, J.R.R. (2012-11-08). The Hobbit (Kindle Locations 100-102). Houghton Mifflin Harcourt. Kindle Edition. [viii] Tolkien, J.R.R. (2012-11-08). The Hobbit (Kindle Locations 547-549). Houghton Mifflin Harcourt. Kindle Edition. [ix] Tolkien, J.R.R. (2012-11-08). The Hobbit (Kindle Locations 3999-4000). Houghton Mifflin Harcourt. Kindle Edition. I’ve never read The Hobbit, but you give a masterful, complete description of its virtues. Tolkien had a talent for storytelling. Thanks for pointing out how we can be great storytellers, too. After reading this, I understand “The Hobbit” better. Great, John… Thanks for entertaining me!